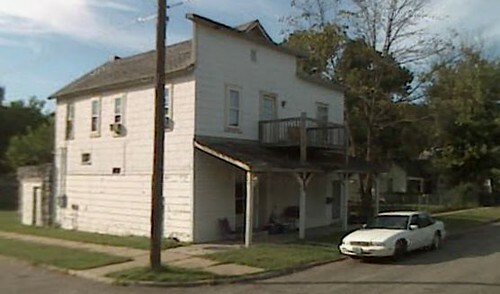 Douthitt’s Grocery store building as it appears today via Google Streetview. Driving along the streets of Joplin, one will occasionally recognize an old corner store standing forlornly in the midst of modest homes, a survivor of a simpler era. Though ragged and ramshackle, these sentinels of commerce were once lively, thriving cornerstones of many a neighborhood. As the era of chain grocery stores dawned, these mom and pop operations slowly faded from existence, leaving only memories. The Douthitt store still stands at 202 North Gray Avenue, a reminder of a slower, more friendly time.